British composer Philip Venables’ contemporary opera 4.48 Psychosis has won the ‘Achievement in Opera’ award at the UK Theatre Awards 2016. 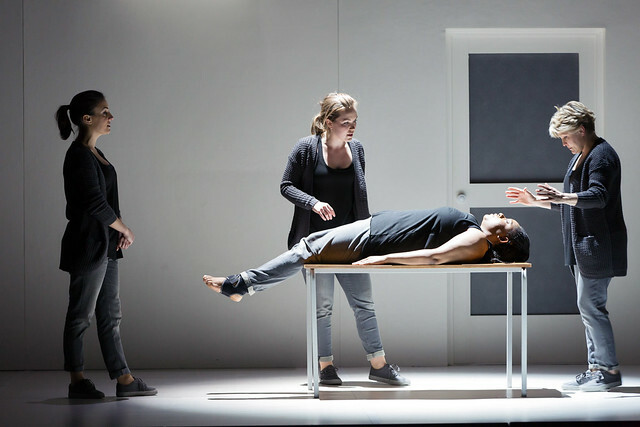 The production – a co-commission between The Royal Opera and Guildhall School of Music and Drama – is an adaptation of British playwright Sarah Kane’s extraordinary final play of the same name, which drew on her experience of depression. Working alongside American director Ted Huffman, the opera opened to acclaim upon its world premiere at Lyric Hammersmith in May 2016. It was created by Venables during his tenure as Royal Opera House Composer-in-Residence, a position supported by Guildhall and the Royal Opera House. The residency is one of the first examples of an opera company and conservatory joining forces to offer a studentship which leads to a doctoral degree. It was designed specifically to support composers in the creation of new operas.